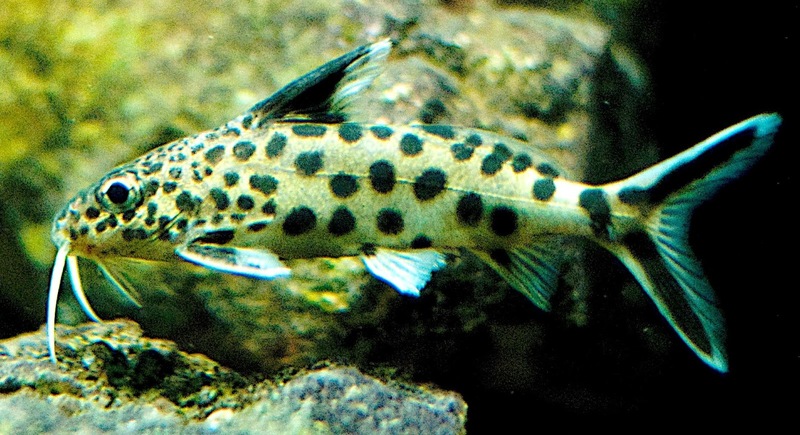 The Cuckoo Catfish or Synodontis multipunctatus at first glance seems like your average freshwater catfish, but they have a very devious side. In the wild this species will attack cichlid's nesting places devouring their eggs. As if that wasn't bad enough, they will also drop some of their own eggs into the nesting place where the unsuspecting mother will take care of them in her mouth along with her remaining eggs. The Cuckoo Catfishes eggs will hatch before the cichlids and then the real terror begins. The much bigger Cuckoo Catfish babies will feast on the other eggs and baby cichlid fish as they hatch inside the mother's mouth! Once they are done feasting they come out of their "mothers" mouth and the unsuspecting cichlid fish actually believe them to be their own! They will take care of the baby Cuckoo Catfish until they are big enough to fend for themselves. Don't believe me? See it for yourself in the amazing video below from National Geographic! When the Cuckoo Catfish is not in the wild it is far less sinister. Also known as Cuckoo Synodontis or the Multi-spotted Catfish, they are often kept in a freshwater aquarium and are said to be quite easy to take care of provided they have plenty of places to hide. This species of Catfish can grow to about 10" (25cm), and will accept flakes, pellets and a variety of fresh and frozen foods. If you have any additional information about the Cuckoo Catfish please leave us a comment below.